Sea of Thieves - Cursed Sails Sighted on the Horizon! Not logged in yet? You're missing out! Cursed Sails Sighted on the Horizon! Update August 3rd: Want the lowdown on Cursed Sails in video form? You're in luck! Watch below as we run through the finest features brought in with this free update – the skelly ships, the Brigantine, the Alliance system, the time-limited campaign, the stylish new cosmetics – in under three minutes. Update July 31st: Cursed Sails is now live! Check out our dedicated page for a good look at the new features included and rewards to be earned. Our weekly release notes will also help you track the tide of battle as the Cursed Sails campaign progresses. Now weigh anchor and set sail for war! Sea of Thieves launched in March, its first content update The Hungering Deep followed in May, and now that July's upon us we're about to unleash the most substantial update yet. Cursed Sails will be unfurling on July 31st, and like our other content updates it comes free of charge to all who own the game. Fortunately, the threat of these fortress-like skeleton ships washes up alongside other features planned to help Sea of Thieves' living pirates face down the dead. The Galleon and Sloop get some company in the form of the Brigantine, a new ship type specifically tailored for a crew of three. An Alliance system is also added which encourages crews to band together in pursuit of their goals, tackling greater challenges and sharing the rewards. For those who like to follow the lore, things are afoot with Sea of Thieves' ever-competitive shopkeepers, and a tale of ambition and greed escalating into something truly terrible will come to light in Cursed Sails. As before, the first seeds of this story can be found sprouting between the community celebrations making up popular seafarers' rag the Pirate Times. Tackling the time-limited campaign that introduces Cursed Sails' new elements will hurl players into a series of fierce clashes and, as always, earn a fine set of in-game rewards upon victory. But rest assured that even if you're late to the party, you won't miss out on seabound skirmishes with the roaming undead as this new menace will remain in the world even after the campaign ends. You just can't put a good pirate down. Especially if they've already been dead for decades. The Brigantine ship and the Alliance system will also be permanent additions to Sea of Thieves. 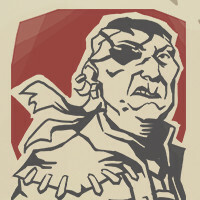 Recent weeks have seen regular challenges and rewards on offer in Bilge Rat Adventures, but even those fast-living outlaws are likely to put their horseplay on hold as the events of Cursed Sails begin to unfold. Best to start bracing yourselves for the skeletal uprising as soon as their latest challenge draws to a close. So jump back into Sea of Thieves to experience Cursed Sails in two weeks' time, on July 31st. Bring everything you've got. It's a bone-breaking battle for pirate survival, and nowhere on the seas is safe! Calling All Hands – Friends Play Free This Week! Sea of Thieves is Going to TwitchCon Europe! Meet the Rare crew at TwitchCon Europe, from April 13th-14th 2019 in Berlin! Sea of Thieves Anniversary Update Coming on April 30th! After a year on the seas, find out what's coming your way and how we're celebrating today! Supersize Your Spoils on Gold and Glory Weekend! Take advantage of the Trading Companies' generosity to boost your rank and riches! Anyone can sign up to play the game early, give feedback and earn rewards!